Wapserveen is a village in the Dutch province of Drenthe, municipality of Westerveld, with approximately 820 inhabitants. It is located north of the Havelterberg and south of the Wapserveensche Aa. The inhabitants are called "Wapserveners" but originally called the inhabitants Wapvenigers. Wapserveen is a birch colony, originated around 1380 in the Middle Ages (fourteenth century) along the Wapserauwen just north of the bridge over the Aa. On some side streets with new construction, it is one long (7.2 kilometers from east to west) lint town with many south-side many original halls farms. Wapserveen originated in the Middle Ages as a ribbon village from the mining of a Brook Valley at Wapse. Wapserveen became an independent parish in 1395. In the centuries thereafter the church was moved three times. The first was a wooden church, just north of the Aa between the Wapserauwen and the farm 'de Vijzel', the second at the old dike north of the present Dutch Reformed Church, it dates back to 1803 and is on the north side From the Oostende. Beside this is the only authentic detached chair in Drenthe, dating from the 16th century. The clock itself is after the Second World War because the old copper clock has been confiscated by the German occupier. The area surrounding Wapserveen is characterized by farmland (peat mining), where the strip deployment is still visible. 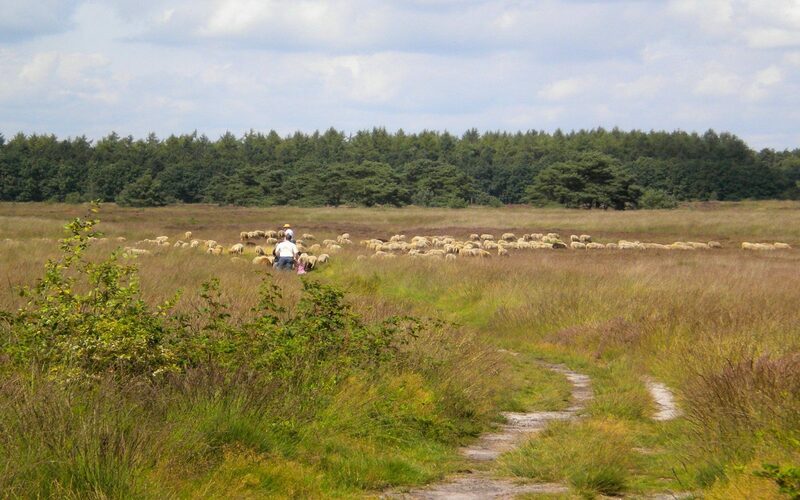 South of the village area begins the heath of the Holtingerveld. To the north of the village lies between the landings, the river Wapserveensche Aa, with various nature areas and hatcheries.